friendsfirst is an agency that prides itself on offering Christians a very personal service. What we mean by that is that it is personal before you join (you can have lots of conversations with our staff and ask the questions you need answers to) and personal after you’ve joined. Our membership team is dedicated to looking after you. Although we love our service, we know it won’t be right for everyone – so our ‘See if friends1st could help you Survey’ below aims to help us (and you) establish if our service would be right for you. For example one of our questions is ‘What would you most like to change about your future’? If you are a 55 year old man and you answer that you most want to start a family, then quite frankly we’re not 100% sure our membership is going to be the best value for you. We say that knowing how hard it is to match a 55 year old man with women of child bearing years – when you approach it from a dating agency. If you answer ‘No’ to this question – and that is fair enough – then our service probably isn’t going to be the best for you – because the fact is that most of our members are looking for that someone special to settle down with. Of course there are exceptions and some people looking for just more friends, which is fine, but by and large that’s the case. So please complete our “See if friends1st could help you survey” and it will help us both work out if your money will be well spent and we can truly provide you with the service and opportunities that we offer. Please take time to think really carefully about what you want and be honest. Not providing the honest answers doesn’t help anyone – and we genuinely want to make sure you are in the right place if you make the important decision to join us. 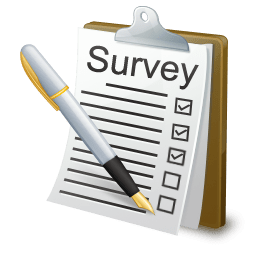 If you have completed our survey – thank you. We will be in touch further to discuss your answers and how we might assist you further.